Campground isn't behind a security gate. From US-98, turn North onto SR-393 (Mary Esther Blvd). In about 1/4 mile, turn left on Hollywood Blvd. Go about .8 miles and turn right onto Hill Ave NW. Road will soon change names to Martin Luther King Blvd. Go about 1.4 miles to the campground on your right. Before you get there, you will see a "Tom Thumb" Convenience store on your right, and the campground is about 1/4 mile past that on the right. Take a site first, then check in at FamCamp office. Active Duty, Retirees, 100% DAV, DOD Civilians, Base Contractors, Guests. Not accepted. Find a space, then check-in at the FamCamp office. If arriving after hours, checkin at the FamCamp office the next morning. None at park. WiFi located 24 hrs in lodging and also available at the base library with many computers to use. 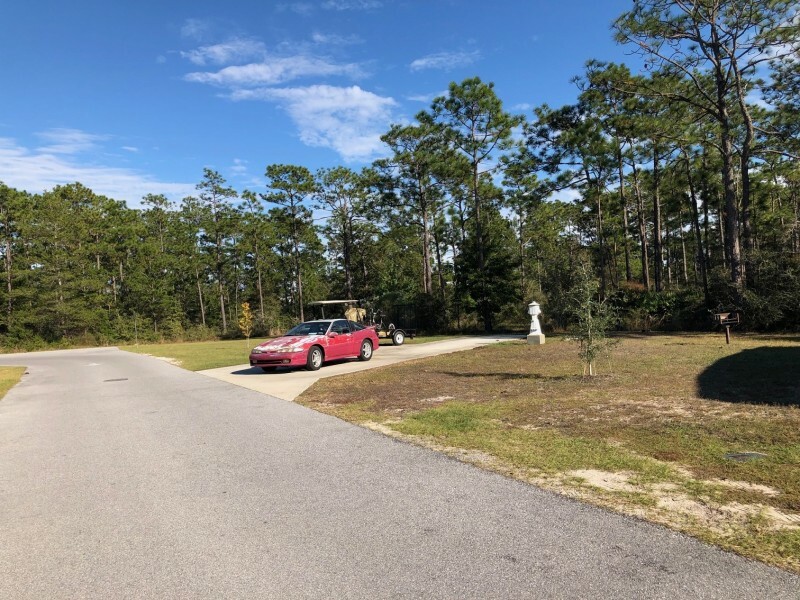 Must use local General Delivery in Mary Esther, FL. No shade in the campground. 90 day stay policy, must vacate for 48 hours then re-enter if a site is available. Located off base. Must check-in firearms with Security Forces. 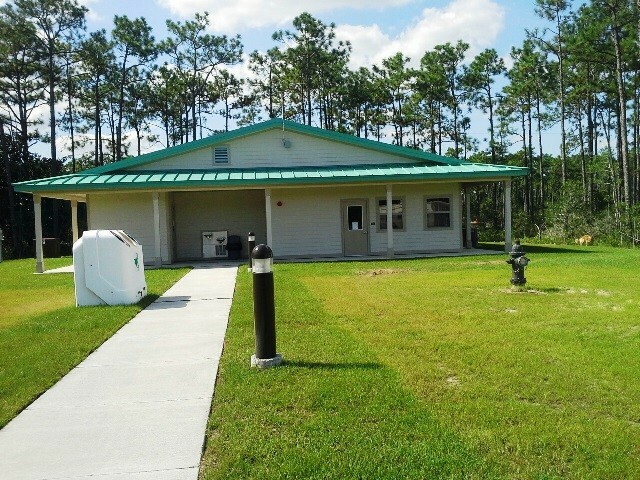 Hurlburt Field Outdoor Recreation brochure and price list. As noted in previous comments this place is spartan. We stayed in the overflow area and did not go on the list for a regular site since we would only be staying a week or two and the wait for a full hookup site is over two weeks. The full-hookup sites are concrete pads and many of them do not slope so the accumulate significant water when it rains - and please don't squeegee your par in a house coat like one resident does - no one wants to see that. The dump station is not well place, located right on the side of the exit road with no real room to go around. Additional there is no potable water near the dump station and currently the dump station flushing water does not work. The overflow area is small and not marked off. Some field marking paint to arrange parking would make it more organized. The overflow area is directly off of MLK Blvd and there are no bushes or fencing to deflect the road noise. If you are in overflow and need to top off your fresh water, each of the full hookup sites has to spigots. Providing that a site resident hasn't used both spigots - many do - you can top off from one of the extra spigots. 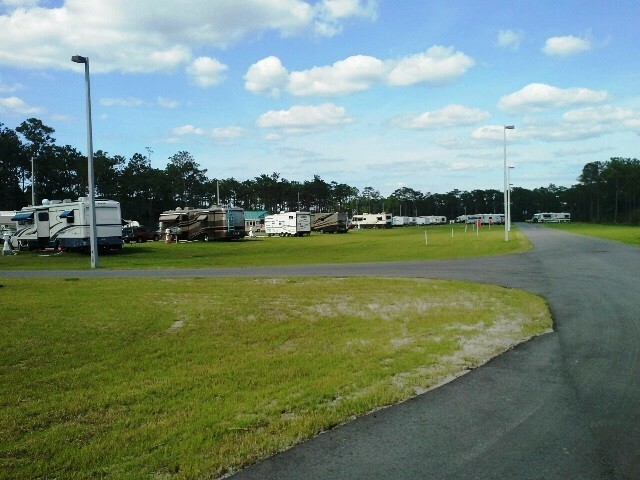 I did notice one person removed their RV from the site for a significant period and used there POV as a place holder. Hulburt had a nice Famcamp until someone got the bright idea of moving it. It is now in an open field in town off base in an unsecured area. It is simply a field with no trees or shade of any kind with concrete pads that a blind man must of poured. When it rains the parking pads turn into lakes due to no slope and a low spot in the middle of them. 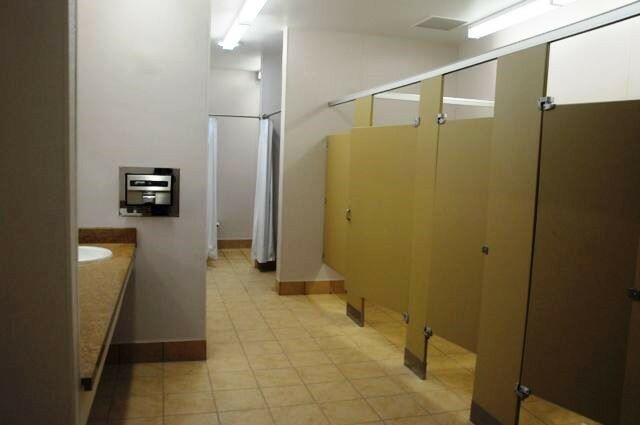 The location is terrible, on a highway which is always busy, and no amenities of any kind except a bathhouse. How anyone can think this is worth the money they charge is ridiculous. 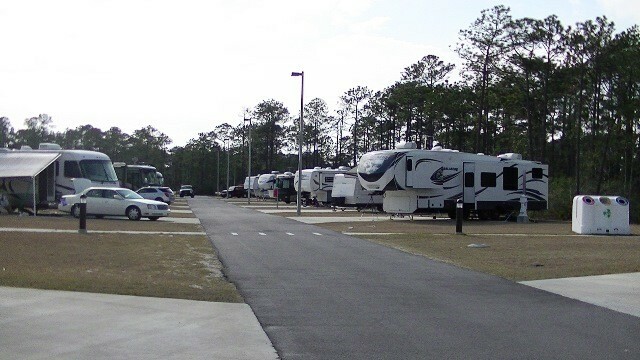 While staying at Topsail Preserve State Park we drove over to Hurlburt to check out the new campground. No sign of any kind at entry from road but easy enough to see the RV's from the highway so you should not miss your turn. Manager outside so asked him about what looked like some additional sites going in and he said they are working on it. Asked if they had any plans to take a reservation and was told no because if they took reservations it would be full, I chuckled and said "it is full now without reservations and you let folks stay 90 days in the winter so folks who want a few days or a week or two cannot get in." 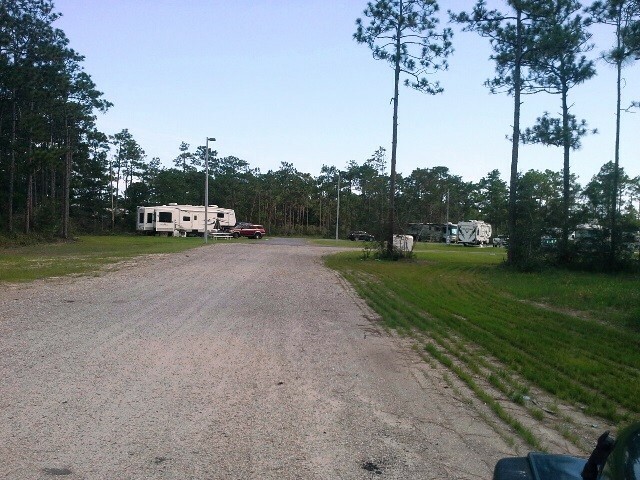 The campground is not inviting and it looks very utilitarian so doubt we would stay here. The location is very convenient to the beaches and shopping and the base has a good commissary and exchange. R.L. left this review using the Directory software: - Did not stay but while we were at Camp Robbins we drove to the other parks that were nearby. I'm glad you updated the directions. The old ones given from the back gate of Hurlburt Field weren't too helpful if you didn't know where the back gate was. The base looked interesting. We took gps readings at the camp entrance: 30.43951 -86.66591. Even though it's all new it didn't have any real attraction for us to want to stay there. Spent a couple nights here to check out the new FamCamp. It's a pretty nice setup. I wish they would have made more RV spaces, but they did leave room to expand. Jim, the campground manager/host is doing a great job. VERY friendly, making us feel welcome. 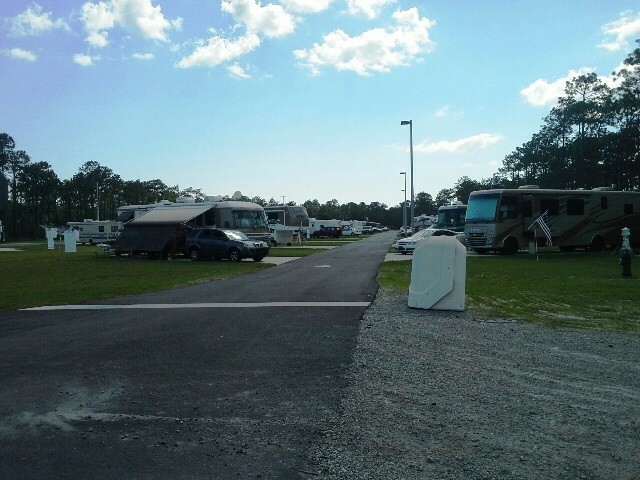 There were a few available sites when we arrived, but the campground got full quickly. Some sites were taken by long-term campers who renew their site every 90 days. A good location to stay, if you're in the area. J.M. left this review using the Directory software: - Nice new campground, no trees, nice shower facility. Outside of the base but not hard to find. Nice new facility. All sites are back in. No wifi or cable. No shade. No signage. Can be a real pain to find in the dark. Other than that this an excellent site. New cement pads are very level. Room to park tow vehicle on the pad. Sorry about the complaint, but how on earth in this day can they build a beautiful new campground from scratch and not include WIFI and CATV? The original family campground is now closed. The new facility on Martin Luther King Blvd is now open for business. The office is located at the new famcamp at GPS Coordinates: N 030.26.425', W 086.39.824'. Office hours of operation are Mon-Fri 0900-1500 hrs. 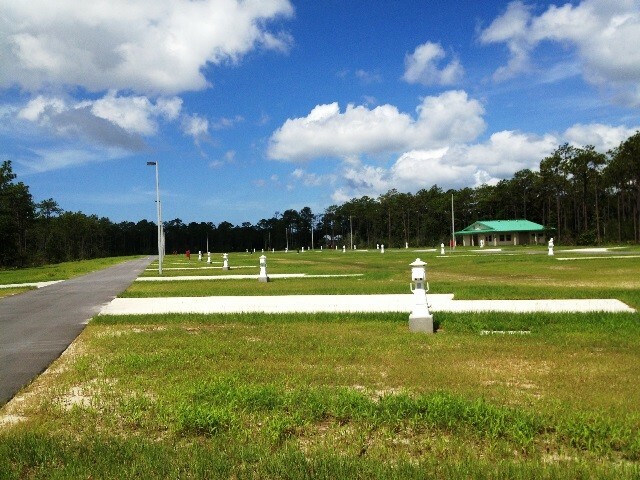 We took a ride over to Hurlburt Field and while there checked things out at the Famcamp. To me, it never changes. I'm not impressed with it at all. Maybe it's a good thing they are closing it and building a new one. I did talk to a couple of residents and they said they heard that the camp will close sometime in June. We then went out and checked the new Famcamp site. It's coming along but I don't think it will be ready for occupancy by June. They are still working on the bathhouse. The street lamps and utility posts are in and the sites are paved. There were too many construction vehicles in and I didn't drive all the way through. It looks like there is a middle row of pull-throughs with a row of back-ins on each side. It looks like it's going to be nice when completed. It is very close to the road and if they don't gate it there will be a lot of drive throughs. The FamCamp is still open at the old location. The place was full and we had a bit of a time getting a site. 3 sites were open but the electricity was out at each one. The Chief of Services happened to come by and gladly had an unused trailer moved off a campsite so we could use it. Turned out well! Despite trees we had no problem with satellite coverage for the TV. Our mifi worked fine. 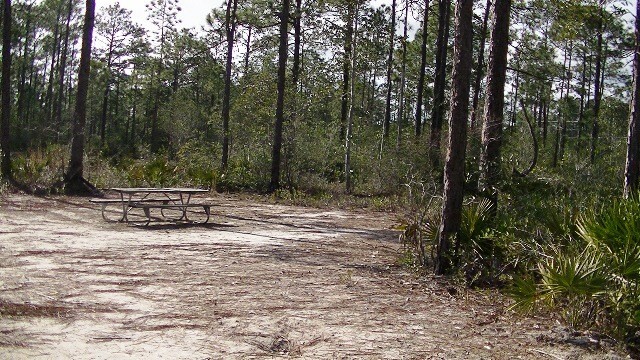 This campground is closing in June 2013. 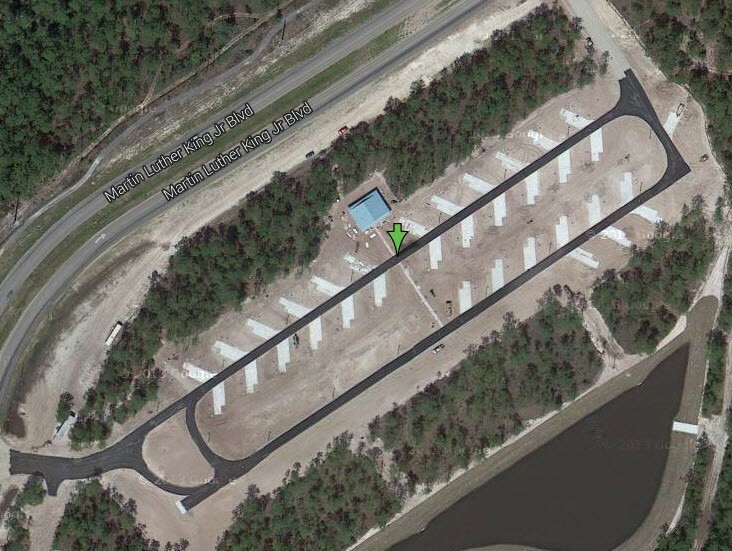 A new facility out not far from the back gate at Hurlburt Field is scheduled to open by then. My bet is they may have a hard time making that date. But I expect it will be open sometime this summer. Looks like it will be a nice facility. We camped in a motor home and probably will be back. It's such as shame that this CG is going to close, it is a hidden gem. I'm sure that if MWR paid more attention they would make more money. I know for sure that people came on the weekend and never paid. The bath house and laundry room were cleaned every day, and the garbage taken away twice a week. Other than those services, nothing was checked or maintained. I did like the fact that you picked your site and then registered with MWR. We also loved the nature trails, the large camping sites and the seclusion from other sites. I liked being off base and not having to go through a gate. It was nice being just across from the base and near good shopping as well. 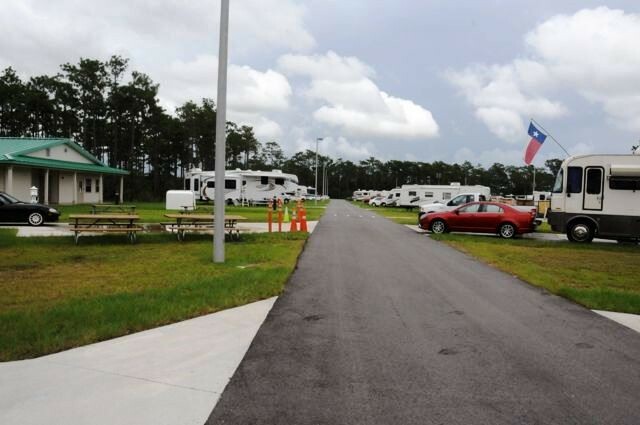 The new campground is next to Commando Village and not on base and not near water. It will also have 19 fewer pads and no trees. I do not know when it will be finished, I have taken pictures and submitted them to this website. We would come back if it was in operation. L.N. 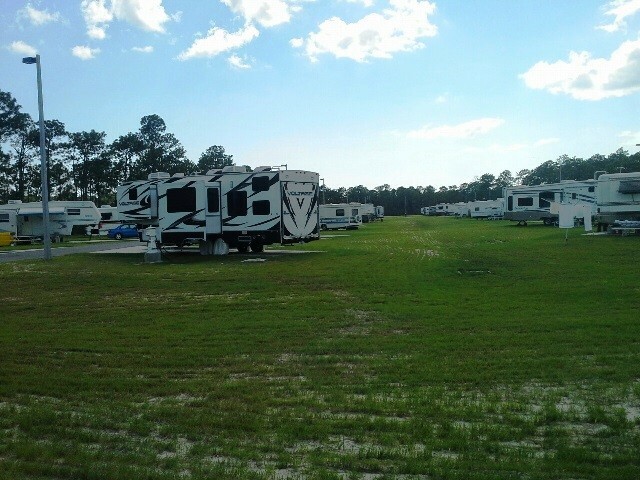 left this review using the Directory software: - RV park is still open (old location). There were at least 20 sites open. 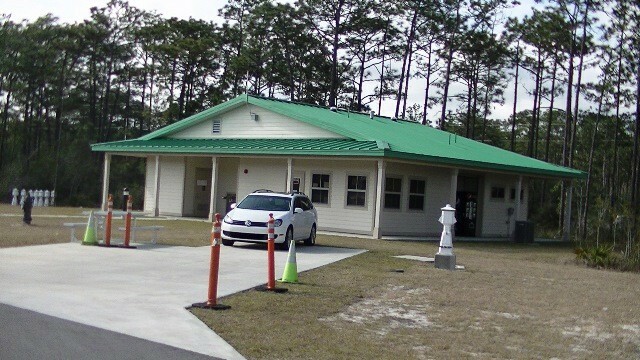 The NEW Hurlburt AFB FAMCAMP IS BEING CONSTRUCTION. It will not be on the beach or just off US-98 but will be nearer the BX and Commissary OFF base just north of Air Commando Village on MLK Boulevard. Hopes to be open next spring. Right now it is just a level piece of land. I hope someone will keep an eye on it and up date this entry. I pulled my camper over here this past weekend and yet again I was disapointed. I've been coming here about 2 times a year on average for the last 10 years. This place has been steadily going down hill every year. I asked the girl at the front desk if this place was closing. She said "one day". I asked what that meant and she said the delay was due to budget constraints. Here's what I don't understand: I've camped at several different campgrounds over the years. 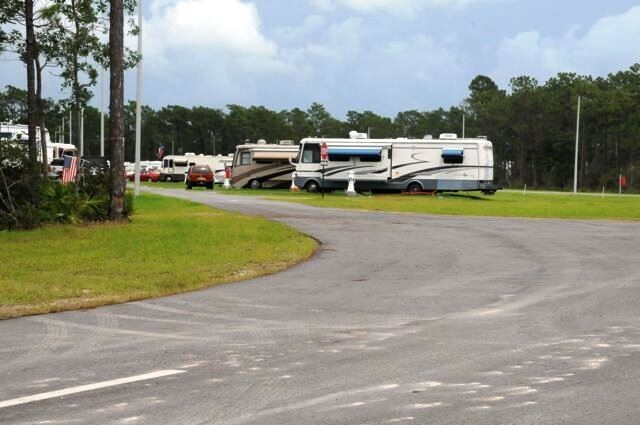 In a non FamCamp park, the nightly fees cover the operating costs of maintaing the campground. 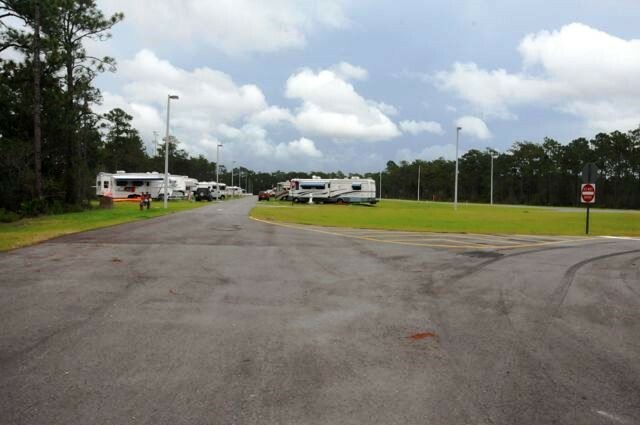 At Hurlburt, the fees are very close to what I would pay at a non FamCamp. So why don't the fees pay for the upkeep of this park? It's because the fees go into the big NAF pot and the monies from the FamCamp are diverted to other NAF facilities such as the golf course. It's obvious to me the base commander doesn't camp. I wonder if he plays golf? The Hurlburt FamCamp is in one of the most desirable locations in the southeastern United States and our government just lets it go to pot. What a crying shame. I stopped in here on my way to the base to check things out. Nothing much has changed since my last visit a year ago. There are still a lot of trashy sites. The only thing difference was the occupancy was down. The park was only half full. I have never liked the place and it looks as if I never will. There appears to be no security whatsoever. Anybody can drive in off Highway 90 and not be confronted. I didn't check the bathhouse because I don't think I would ever stay here. Maybe they should tear it down and build housing on it and start all over somewhere else. Contrary to what has been reported or you may have heard, Hulburt FAMCAMP off US 98 is OPEN for business. Occupancy today is at around 80%. 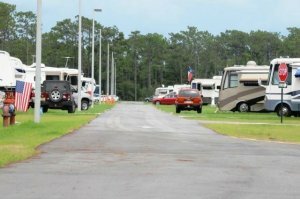 The Campground does suffer significantly from a "we have been told we are closing, we don't when and we aren't doing anything to keep the campground up except that which we are forced to do". Really really hard to get Management to take a real positive caring attitude and get things done daily that show a positive improvement. The drive just there anymore since they were told months and months ago that they would have close the Campground for Privatized Housing. 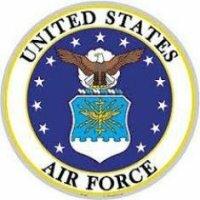 From what I am being told, Privatized Housing Contractor and Air Force have hit some major snags between them. 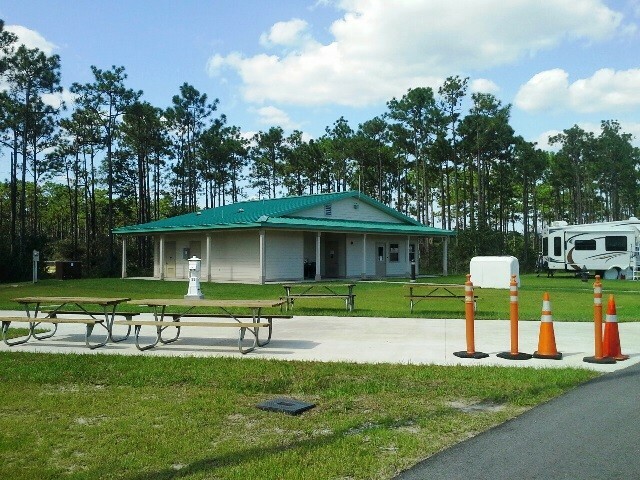 It would not surprise me to learn someday that a little lizard that is environmentally important to Florida Environmentalists saves this Camp Ground. Imagine the possibilities of a coal skink, native to only the Western most Counties of Florida, and its power base when mankind wants to start messing with him. Look what his Cousins did several years ago down in middle central Florida---they stated out building a muti-billion dollar Cross Florida Barge canal from the Gulf of Mexico to the Atlantic Ocean and now all they have today is a ditch of ocean water that extends mile inland but serves no commerce purpose at all and never will. Way to go Snail Darter!!!!! May you too Mr Coal Skink, have the same good fortunes and keep your home. Only time will tell what happens to this fabulous FAMCAMP that has so so much to offer today and tomorrow, if maintained and left alone for other projects. Government homes with a water front view, who needs them until after one retires and NO longer lives on Government Property. My Family and I have been here for several months. I have read over and over the comments posted below mine and just keeping coming back to a few words that just won't leave my mind--IF BIG IF--if Divisional Management cared. Yes, this is very true. I have bent over backwards trying to work with the Manager who hangs out most days and all day at the Marina (I have never never never seen him ride though this place, though FORCE vehicle do pass through leaving from hanging out by the water) and have even worked on an occasion or two with the Chief over ALL MWR Divisions on this base, but even my best efforts and patience have been to NO avail. I have concluded that all Registration is interested in at the Marina is your MONEY. There are 50 amp sites over here that have been broken since way way into last year and they are not even marked as so---thus an unexpected guess pulls in, gets all set up, just to learn that his 50 amp electric is broken. Site 24 is a perfect example of what I have talking about, as I help an older couple deal with their disgust as to what had happened to them. I repeatedly have asked management to come over, give ALL the sites a serious trimming of vegetation overgrowth, pick up ALL the trimmings that guests (and maybe just maybe Management) have cut themselves so they could get into the site without damaging their RV and yet the problem still exists. OH YES, Management will tell you they came over one day, did some trimming and picked up a little, but they DID NOT CARE about the quality of the job they did as they hit here, missed everywhere else and left. It was obvious that who came over that one day was clueless as to what needed and should be done. Year old trash is right where they and others have piled it and some sites still have branches hanging to the edge and over the pissy little pads they have put down. OH, and BTW, I don't thinking they would have come over and did what they did if the ICE reporting system hadn't contacted them. 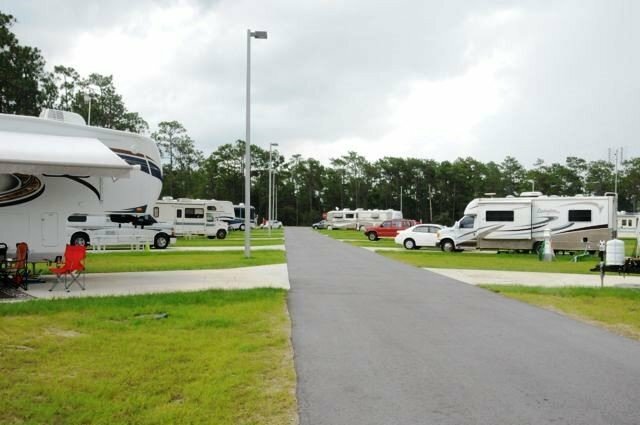 In summary, this Family Campground could be the show case for the Florida Gulf Coast if true, sincere and real caring existed. What a shame for things to be the way they are around here---give me your MONEY---and don't bug me about the conditions and lack of care and up keep on the place!!! 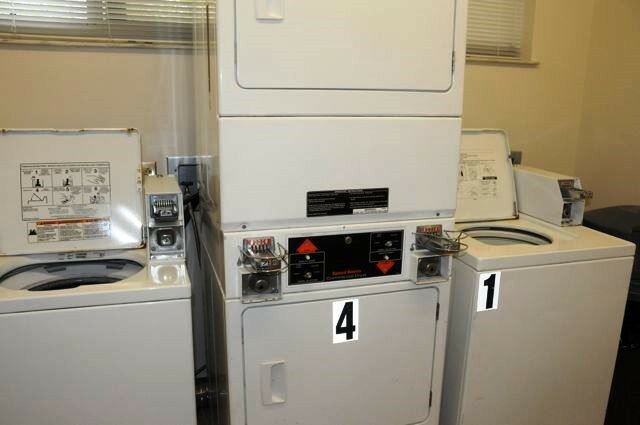 Amenities at the Park are non-existent and the Bath House and Laundry--well that is a story within itself. It took me personally, calling all levels of management to get the security lights in the park operating (over 50% were out) and now the winds and tree branches are tearing them up again, but no one can see that, because they don't do a weekly inspection of any meaning on the place. I personally have tried to get something done and maybe just maybe if enough of those out there that read this and have been here speak up, rock the boat and get some Management changes made, we might just get somewhere, but for now it is business as usual. At first we were impressed but then soon after we realized that for $20 a night it was not worth it. The bathrooms we GROSS. There was trash and broken lights on the road. The brush was very overgrown in places. Near the restrooms someone had thrown a roll of toilet paper all of over the brush and you could tell that it had been there for a while. Overall we did not enjoy it. Will not go back.